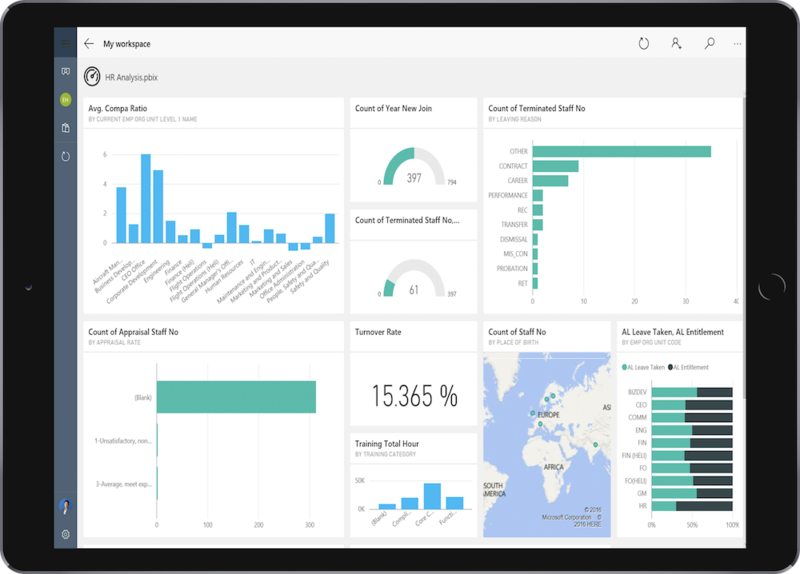 With EmployeeConnect HR Analytics module, pilot your HR decisions using a range of visual reports that offer concrete and actionable insights you can act on. Analytics empowers you to make informed decisions when it comes to hiring, elaborating career development plans, succession planning and risk management. By leveraging people analytics and business intelligence, you can align your HR strategy with overall business goals more effectively. Visualise the size of your workforce. Measuring the exact size of your workforce shouldn’t be a hard task. 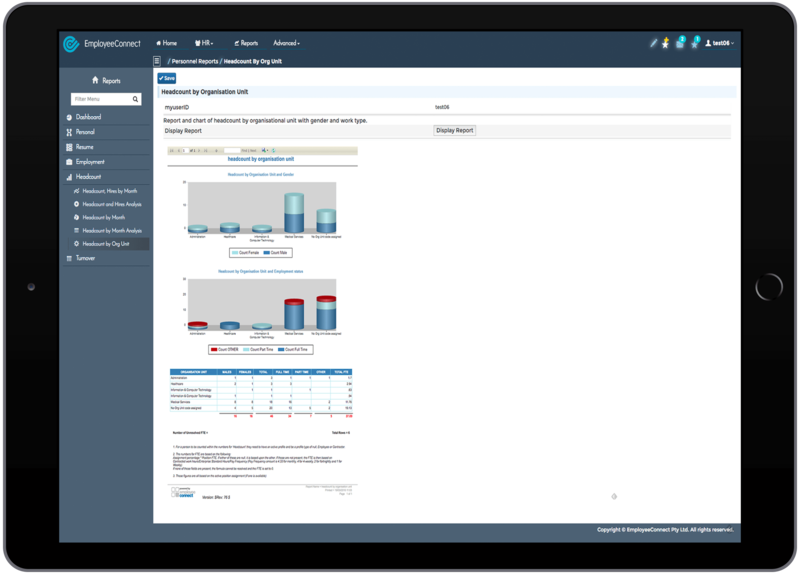 HR Analytics gives you the ability to visualise your global headcount and drill down this information per department or business unit in a range of quick and simple reports. Your monthly stats at a glance. 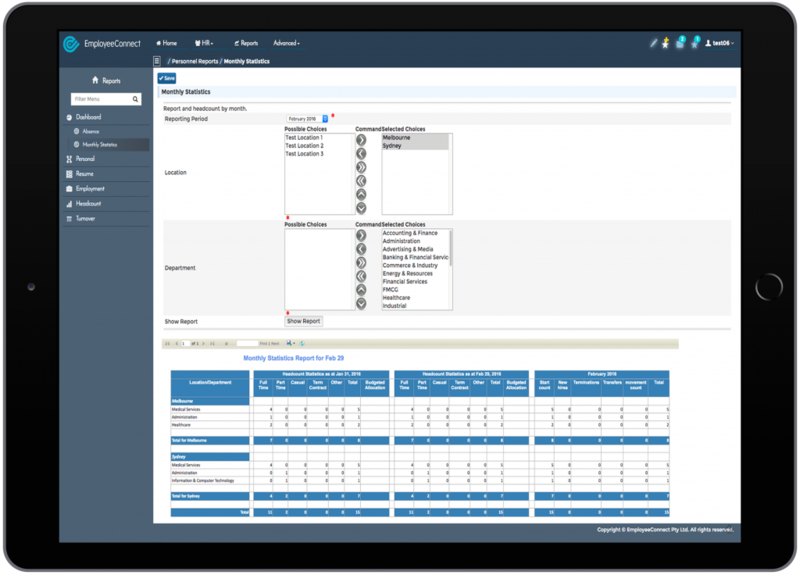 Get an instant pulse of your HR metrics with this flexible user defined report and unveil your number of workers per contract type or number of terminations for any given month. 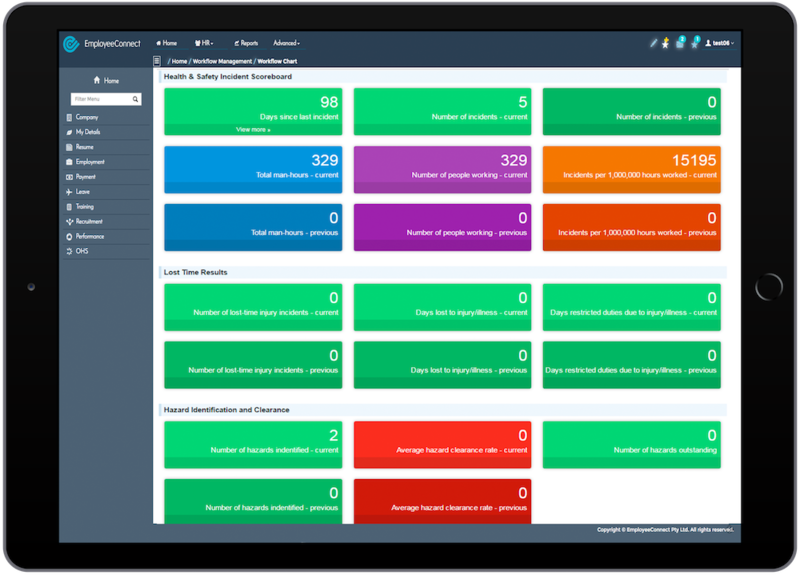 Configure conditional dashboards with your key performance indicators across each module. Take a step back and unlock the power of insight & control by presenting data in real time, in front of the people that need it most in a way that is easily understood and actionable. Transform your data into rich visuals for you to collect and organize so you can focus on what matters to you. Stay in the know, spot trends as they happen, and push your business further.